This is a practical garden design service where plans and plant lists are delivered to you on the day, for an affordable price. 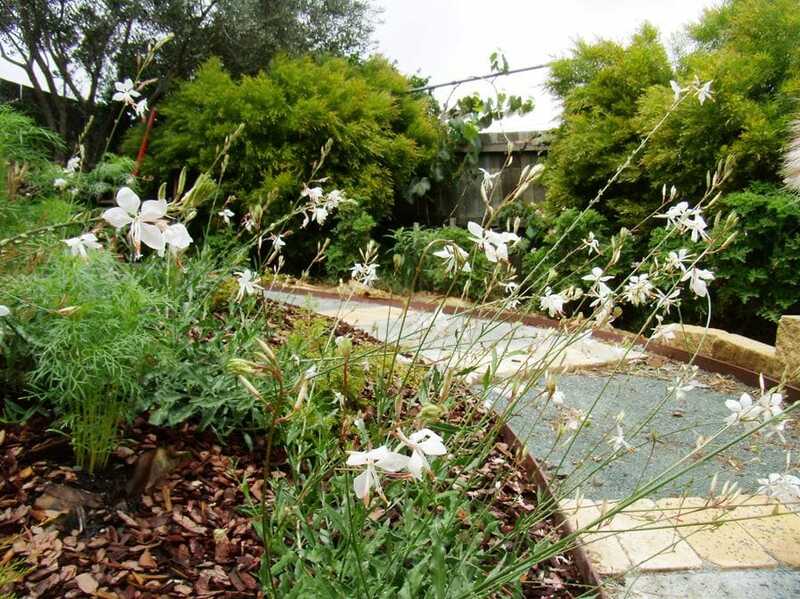 I can advise on plant selection, site preparation and landscape design during the time in your garden. My service is a highly personalised to suit your lifestyle, your budget and the level of your gardening experience. The garden plans are prepared to scale, hand drawn and detailed to a high standard. I have been drawing garden plans for many years now and have developed a system that will provide you with horticultural details and planting schedules with an easy to follow garden plan. The format and delivery of the service is fine tuned to ensure that you have not only interpretive plans but also a series of information fact sheets on installation,site preparation, landscape details and of course the follow on garden maintenance of your project. I can cover many different garden styles and themes and truly believe that gardens are for people, families and lifestyle. Your garden designs could be for small allotments, front yards, back yards, pool and patio planting's and outdoor garden rooms. 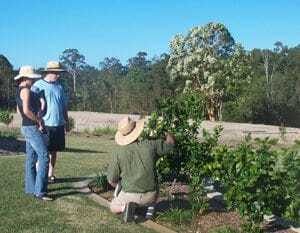 Perhaps for permaculture and food gardens as well as a home orchard. Many of these services range from 2 hours to 4 hours and are affordably priced from $450 to $650 depending on size and complexity. Overall I can tell what a job will entail and give a fixed price on the day just to ensure that we stick to your budget. If I need to travel further afield to visit clients travelling and tolls are additional cost to the service. Ideal for new homes or for refurbishing existing gardens. This is our most popular garden design service as it is personalised and comprehensive. The Garden Design Portfolio involves consulting time at your home, a full set of garden plans and plant lists plus information sheets on both soft and hard landscaping. I will deliver the Gardener Design Portfolio back to you, explain how to use it and illustrate ideas and applications. You will have unlimited contact via email or phone once the plans are delivered to help guide you through the establishment and maintenance of your gardens. These detailed garden plans and information sheets are ideal for gardeners of all levels. The plans are drawn by hand, giving you an individual landscape design for your home. Watch our movie below for an example of a finished Garden Design Portfolio. We would all like to reduce our impact on the environment and utilise our backyards in a more productive and sustainable way. This Productive Garden package is designed to start with a small idea then grow and expand it over time with mentoring and the guidance of a qualified and experienced horticulturalist. Just see how easy it is to be green! It is expected that organic produce should be - free of herbicide, pesticide, fungicide, growth hormone, antibiotics, heavy metals, chemical leaching and potential Biohazards such as black and grey water containing harmful bacteria. As home growers there are simple measures that we can take to ensure that we try to achieve a degree of practical and safe organic food production in our backyards. 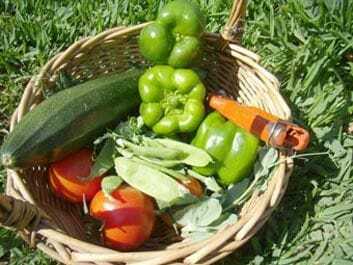 Your reward will be eating fresh home grown produce and reducing your environmental impact. A site assesment (looking at the available resources of your site) e.g. soil, water and sunlight. It is these investigations that lead to the possible placement of orchards, food forests, vegetable gardens, ornamental gardens as well as structures such as chicken coops, water tanks, worm farms, composting areas and propagating areas. We look at balancing both natural and productive areas, as well as the outdoor living and recreational facilities of your site in a well rounded practical yet sustainable design. I can help you have the best of both worlds, an attractive, easy to maintain, decorative and functional garden, with the bonus of areas for your veggie gardens for you to enjoy growing your own home grown produce. Permaculture Plans - this is for everyone! 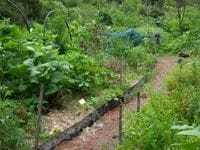 Permaculture gardens are truly sustainable and productive. Many people both in the city and on rural allotments incorporate permaculture gardens into their landscape. In permaculture we grow food where it's to be eaten at home. Growing food organically is practical and can be done easily with a bit of knowledge and skill. 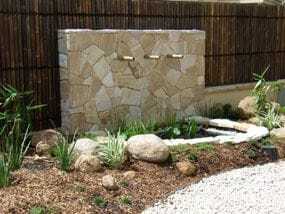 This style of garden has many diverse functions, and is based on understanding of balanced relationships between humans, and the environment. Society also benefits from building strong communities that share in the permaculture philosophy as the sustainable choice of the future. * Bush regeneration and repatriation of degraded sites. Whether you are planning the gardens around your house, boundary plantings for screening or windbreaks or even a whole property master plan, I can develop plans to suit. Acreage living brings with it the responsability of managing both natural and man-made eco-systems. Large acreage blocks may require specific plans and planning to encompass the many aspects of acreage lifestyle. Small hobby farms can be set up sustainably with considered forethought and planning for the future development of house gardens, productive gardens, orchards, food forests, grazing and natural eco-systems. I spent many years with the forestry service as a nursery overseer and part time extension officer. My background is in forestry and environment and this is where I was first involved in the propagation of indigenous plants for rehabilitation and reforestation projects. 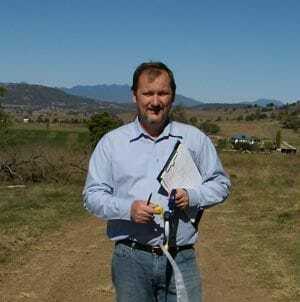 The assessment of bushland and subsequent classification of vegetation types is a fundamental skill I possess. Rehabilitating ecosystems is challenging and rewarding and is as important today than ever before. The loss of animal and plant diversity in our bushland areas is caused by the clearing of habitat under the pressures of continuing urban sprawl. We should include indigescapes in all our new developments so nature at least has a slim chance of surviving. Ascertain your sites assets and develop them to their fullest potential... even some of the most challenging of sites can be made better by simply reframing the problem and then working out the best solution.